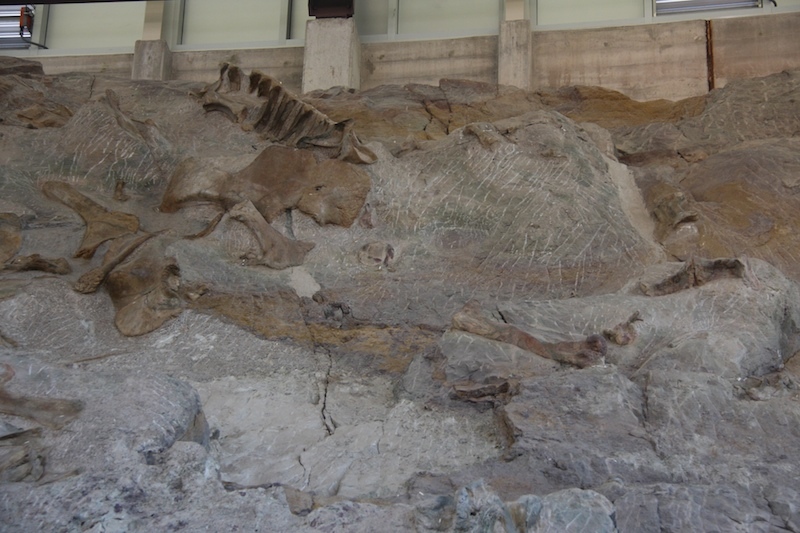 There are actual dinosaur fossils in Utah! 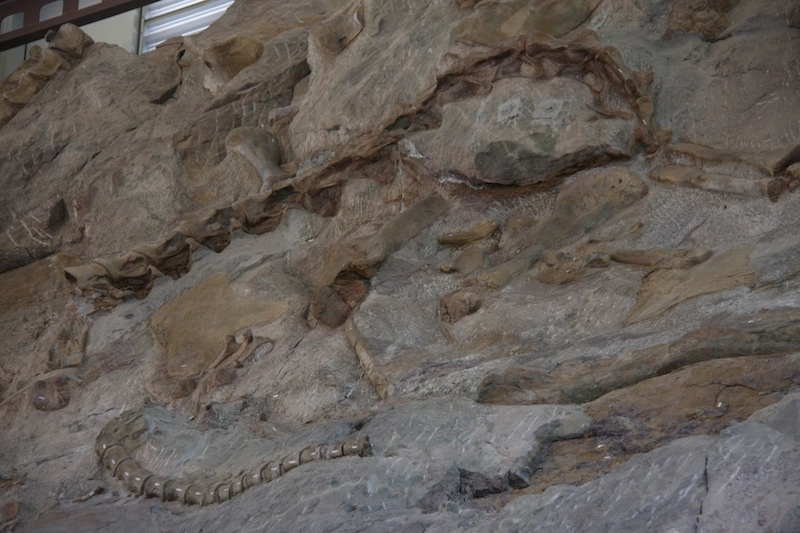 In 1909, paleontologist Earl Douglass discovered eight dinosaur tailbones protruding from a sandstone hill in the Utah desert. 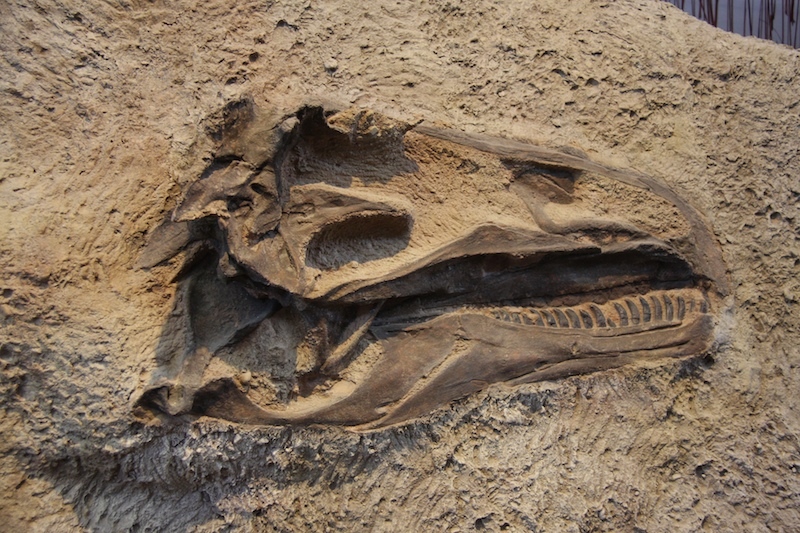 This discovery was the beginning of a dinosaur quarry that ended up being one of the most productive Jurassic era quarries ever found. 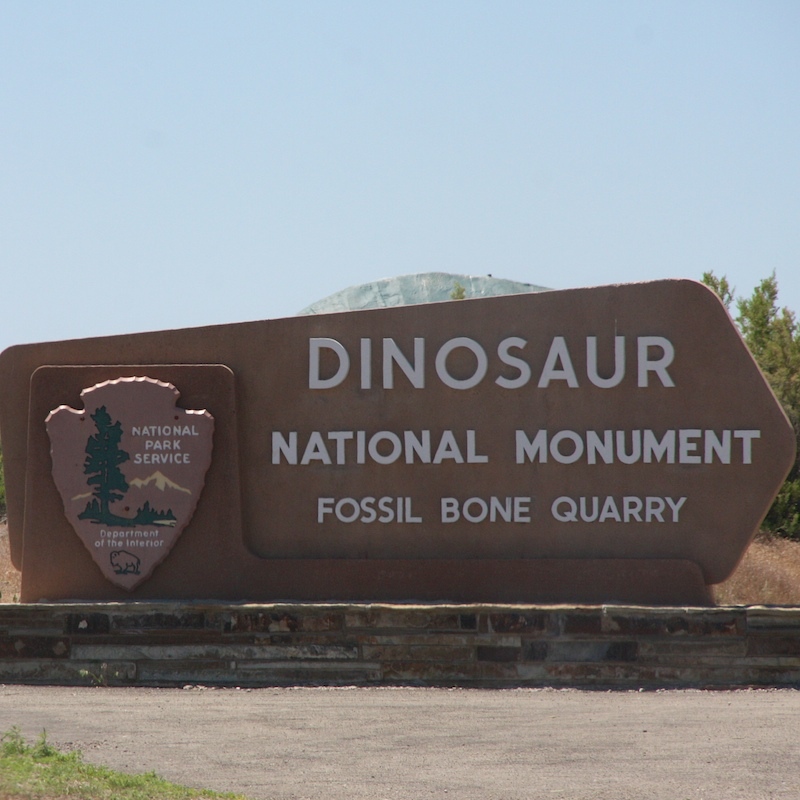 In 1915, Dinosaur National Monument was established to protect and conserve that dinosaur quarry. There were 10 different dinosaurs found in this area. This jumbled mess of bones was created in a riverbed. The ranger said that something, perhaps an 85 foot barosaurus, jammed the river, creating a massive dinosaur bone jam, much like a log jam you'll see in any river. Dead dinosaurs from miles upstream would get caught in this jam and couldn't flow further down river. The flesh rotted away, but the bones remained. As years passed, they were covered and fossilized in sandstone. 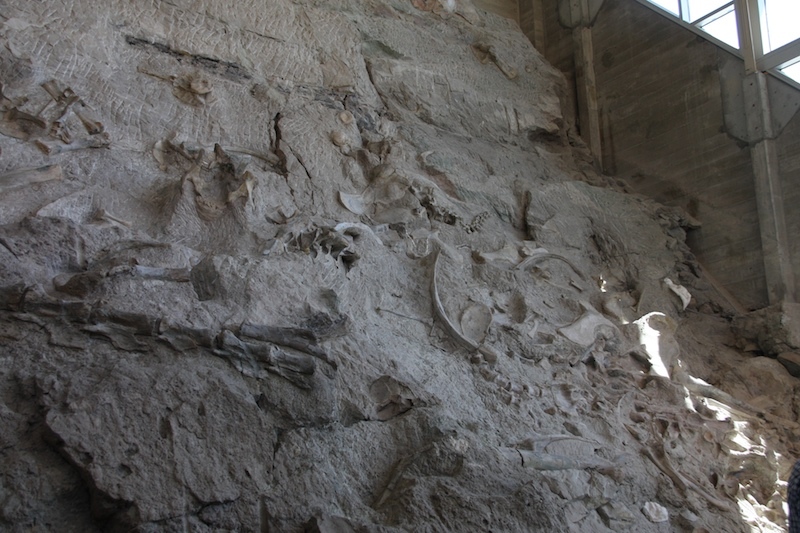 These dinosaur bones are 149 million years old. After millions of years, the earth shifted, pushing the riverbed upwards, making what was originally a flat river, a mountain. ornithischians (Beak-like herbivores): Camptosaurus, Stegosaurus, and Dryosaurus. Phew. That was a mouthful. Did you get all that? Nevermind all the official names, it was just very cool walking in the same spot that dinosaurs walked. I had never been overly interested in dinosaurs, but physically being in that spot was amazing. And kind of humbling - my (hopefully) 80-90 years on this earth is nothing. But I will make the very most of it, that's for sure! The rest of our drive through Utah was fairly uneventful. We saw some nice waterfalls as we got into Provo, but this journey didn't take us to Utah's more famous Arches, Bryce or Zyon National Parks. Another year perhaps. 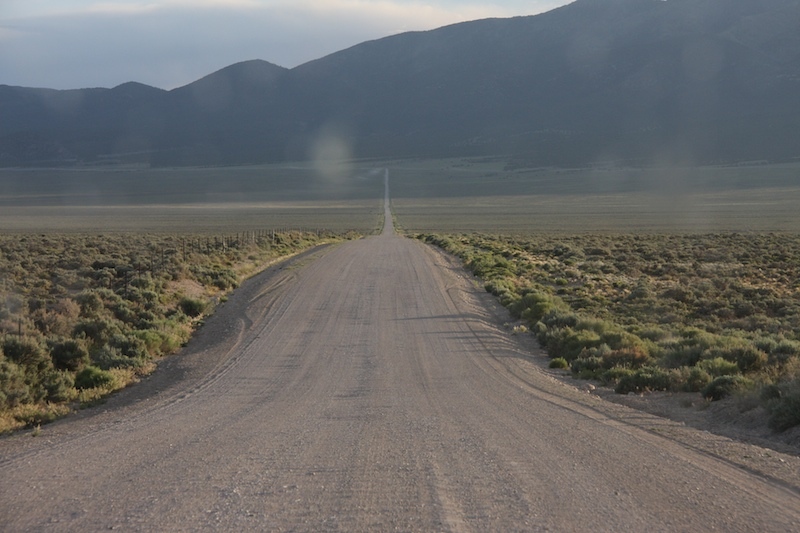 All of Nevada is desert. Pardon the spots. Sometimes you gotta shoot through a bug splattered windshield. But now and then, you can find a hidden jem in this desert wasteland. 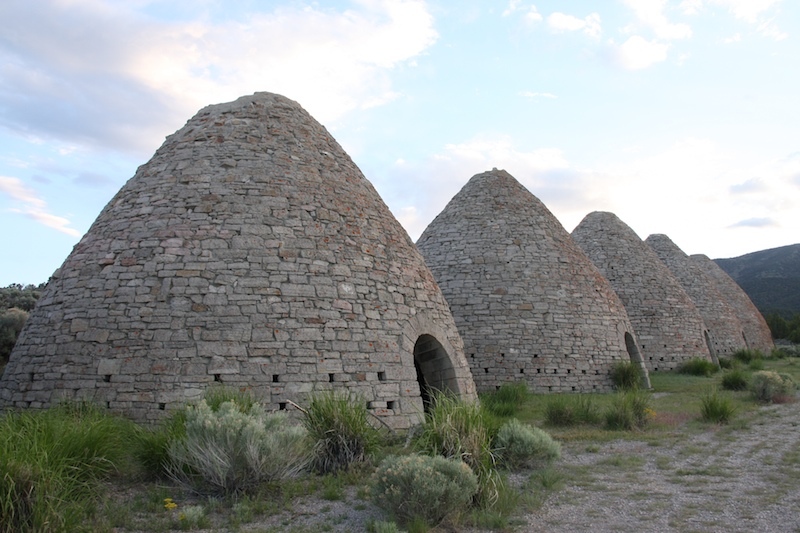 Like these Ward Charcoal Ovens. 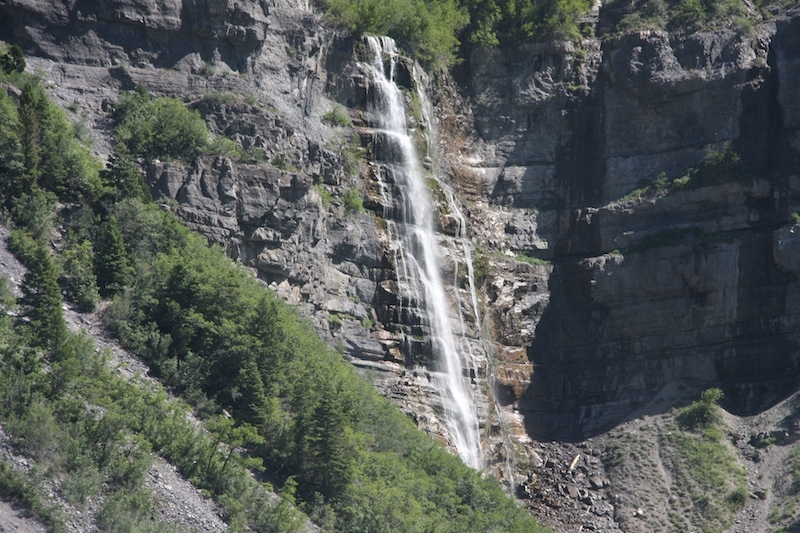 They were built in 1876 to turn timber into charcoal to be used for the nearby silver mines. They're 30 feet high and 27 feet in diameter at the base. They were only used for 3 years, till they ran out of timber and ore. 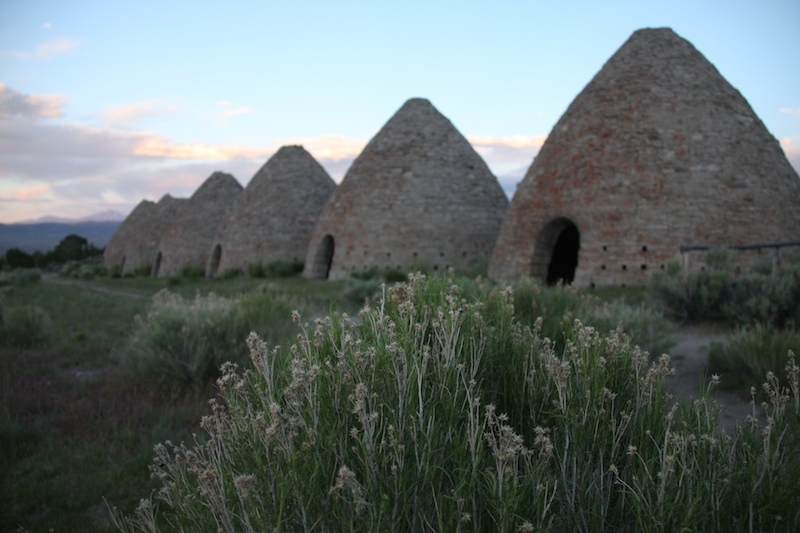 Afterwards, they were used by prospectors and stockmen for shelter during harsh weather. 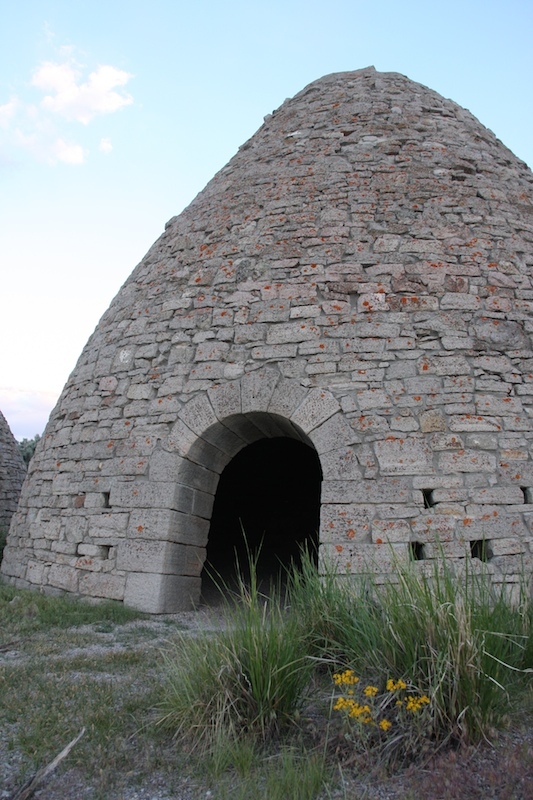 More notoriously, they were used as a hideout for stagecoach bandits. Here's a simple video I took of the ovens. This one, lead by a state park ranger, is more informative. I went to Zion National Park when I was in Utah a few years ago, what a marvellous place, I was so impressed with the geography, nothing like that where i come from!